②　15:00 – 17:00 Session Lesson （セッション練習会）※ Instruments other than fiddles are welcome. Mickie O’ Shea is a fiddle player from Nadd, North Cork in the heart of Sliabh Luachra. Growing up he was fortunate enough to have lessons and workshops from Seamus acreage, Matt Cranitch, Geraldine O’ Callaghan, Carmel O’ Dea and Siobhán Cronin. Mickie gave fiddle lessons for many years at his local CCE branch, Nead an fhIolar (The Eagles Nest) in North Cork. Throughout his university years he gigged with Arundó in Cork City and he was also one of the founding members of the Five Counties Ceili Band. In 2011 Mikie moved to Dubai to teach in an international school. During his four years in Dubai he managed a band called Boxty who played all over the Middle East promoting Irish Music. Mikie has recently moved to Tokyo where he teaches the Primary Years Program at Seisen International School. 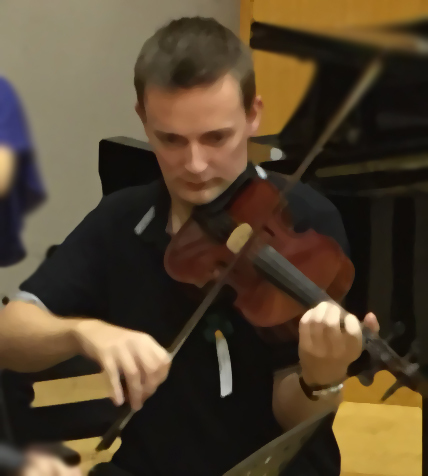 He is looking forward to bringing the music and style of Sliabh Luachra to the musicians of Tokyo.